Founder and Creator of The Actor's Market, Gwyn is the "Foremost Marketing Coach for Actors". 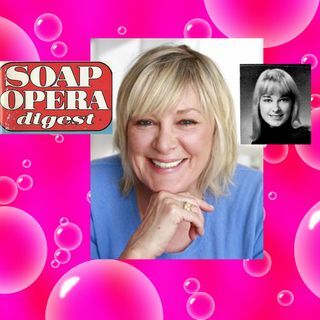 As a successful actor herself working in all medias, she was an Emmy Award nominated Soap Opera Star with numerous contract and recurring roles- All My Children (1979-81), Guiding Light (1982-83, 1987-88, 1994-97), As The World Turns (1984-5), One Life to Live (1986-87), Loving (1988-89), Ryan's Hope 1989-90)and Another World (1991). She starred, guest-starred in 13 Prime time ... See More pilots/series most notably as Tony Robert's wife in The Lucy Arnaz Show (1992) and films, Woman of Valor (1977) and I, The Jury with Armand Assante (1982). She appeared on and off- Broadway and in classical Repertory theater productions across the country-from Shakespeare, Moliere, Tennessee Williams to Noel Coward and Arthur Miller. On Broadway she was in Kaufman and Hart's The Man Who Came to Dinner at the Circle in the Square and co-starred opposite Tammy Grimes and Ian Richardson in Joshua Logan's (Mister Roberts, South Pacific) last play, Trick. Gwyn was also in demand as a corporate spokeswoman for dozens of network commercials and voice- overs. With clients on both coasts and internationally working in all medias she is the premier role model with winning Strategies and first-hand knowledge of the TV, Film and Theater Industries which she willing shares to help new actors succeed.